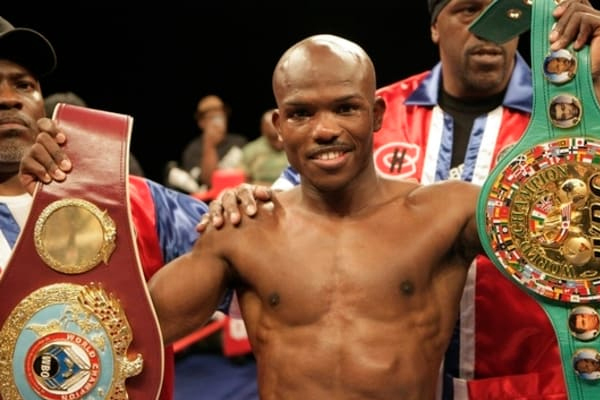 Timothy Bradley announced his retirement over the weekend. I am happy to see him hanging up the gloves and I hope he stays away. He has been one of the top stars of his generation and involved in some of the biggest fights of the past five years. But he is also a dedicated family man and will hopefully be walking away from this brutal sport with enough of himself left to share with his children as he grows old. Bradley is commonly referred to as a two-division world champion–he held alphabet soup belts at 140 and 147 pounds. Frequent readers of this column are aware that I do not use the term “world champion” lightly. And Bradley was never a true world champion. But he was the top fighter in the world at 140 pounds at one point in his career, and one of the top two or three fighters at 147 for a number of years. That should be enough to justify his induction into the Hall of Fame in five years. Less accomplished fighters are already in. The two biggest wins on Bradley’s record are split decision victories over Manny Pacquiao and Juan Manuel Marquez. Like a majority of observers, I do not feel like he deserved the nod over Pacquiao in June 2012. But I think he unquestionably deserved his win over Marquez, and I feel Marquez got a raw deal in both his second and third fights with Pacquiao. So Bradley was a fighter who competed on very even terms with outstanding fighters. His physical conditioning was outstanding, even by the standards of his craft. He lacked significant punching power, but was one of the strongest fighters in the world south of middleweight. His athletic ability and IQ allowed him to fight in a busy and awkward pressure style. Bradley’s most memorable fight is his unquestionably his March 2013 war with Ruslan Provodnikov–a fight that I would ranks as one of the best five fights of the past decade.